The firm’s flagship healthcare offering, VBPMaster™, is a complete PHM solution which requires no hardware installation; it is a subscription service with a low monthly fee. “Our interface is so simple that customers can get reports to their order with minimal clicks—no IT wizards or biostatisticians required,” elucidates Reinecke. 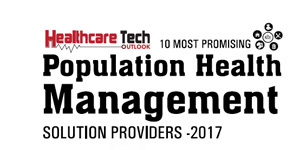 VBPMaster gathers the data, a provider needs to manage the population proactively and analyzes it in terms of relevant payer, and internal provider metrics. The results are presented in a way that the provider can easily visualize, and GeoDD can customize the interface dashboards based on provider input. “When the data reveals a problem, our ‘bundled’ consultants are available to help the customer find the solution,” states Reinecke. With the help of VBPMaster, users can gather and integrate social determinant information including non-clinical, non-care-delivery-related data such as food availability, education, community and social context, neighborhood and physical environment, and economic stability as well as EHR, claims, and revenue cycle data. The population is then mapped physically and the social determinants are overlaid to display the physical location of patients. “So, for example, VBPMaster can take the population map and overlay it with Environmental Protection Agency (EPA) air quality data— giving users the ability to quickly grasp whether air quality is inducing Chronic Obstructive Pulmonary Disease (COPD) in a specific population,” remarks Reinecke. Currently, GeoDD is focused on increasing the customer base of VBPMaster. The company is also planning to enhance the solution for use in other industry verticals. “We will continue to build relationships, think innovatively, be agile, and blend data and people to make better decisions,” concludes Reinecke.